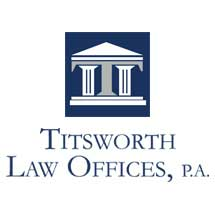 MoreAt the Ledbetter & Titsworth law firm in Cary, North Carolina, we are fully committed to helping you secure the compensation you need following an injury or loss caused by someone else's negligence or wrongdoing. In addition, we also represent injured and disabled employees seeking their rightful workers' compensation benefits.Serving clients throughout the Greater Raleigh\Durham metro region and across Research Triangle Park, the attorneys at our law firm possess more than 40 years of...At the Ledbetter & Titsworth law firm in Cary, North Carolina, we are fully committed to helping you secure the compensation you need following an injury or loss caused by someone else's negligence or wrongdoing. In addition, we also represent injured and disabled employees seeking their rightful workers' compensation benefits. Serving clients throughout the Greater Raleigh\Durham metro region and across Research Triangle Park, the attorneys at our law firm possess more than 40 years of combined experience in personal injury and workers' compensation law, and we promise to do whatever we can to support you and your family through your difficult and uncertain time. More than simply attorneys, we see ourselves as counselors and advisors who will provide the personalized attention your case deserves while aggressively advocating on your behalf to help you achieve the positive results you expect. We understand the stress and anxiety you are likely feeling regarding your situation, and we will treat you with dignity and compassion as we devote our undivided attention to your case. Whether your claim is the result of a motor vehicle accident, a slip-and-fall accident, a defective product, a job-related accident or any other type of preventable tragedy, you can begin the process of obtaining the justice you seek by calling our law office or visiting our website to schedule an appointment for a free initial consultation. Further, the attorneys at Ledbetter & Titsworth work on a contingency basis, so we will not require a fee from you unless we secure compensation on your behalf.